July 21, 2014 - "Company News"
As tech manufacturers aim to make their devices more portable for consumers on the go, electronics firm Darfon has found a way to slim down keyboards with magnets. 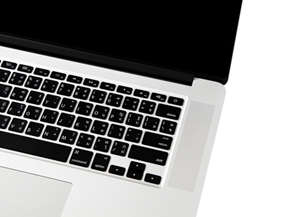 The magnetic keyboard design helps to make a thinner and customizable typing surface. Darfon introduced the maglev keyboard at a technology convention called Computex held in Taipei this year, tech publication CNET reported. As the name suggests, the Darfon keyboard draws its inspiration from maglev trains that levitate using a combination of permanent magnets and electromagnets. The magnets in the keyboard replace the rubber cups, which are commonly found in typical keyboards, that help push the keys back up when they are pressed. Since the maglev keyboard uses magnets and not rubber cups, the keyboard itself is thinner and the keys are closer to the computer, according to a review by senior writer Aloysius Low at CNET Asia. While it is different than a conventional keyboard that may use a scissor-switch membrane keyboard design that is popular among laptop manufacturers, the maglev keyboard feels "just about right" in terms of the pressure users need to type out, according to Low. The maglev keyboard also has a distinct advantage over standard keyboards as users could also change the resistance of the keys to fit user preferences, making them easier to press and respond to touch. The new keyboard technology has already attracted the attention of several notebook vendors, according to Digitimes. Production of maglev keyboards may start by the end of this year or the first quarter of 2015. Darfon said its keyboard will have a lifespan longer than regular scissor switch ones. Maglev keyboards can last for up to 15 million strokes, 5 million more compared to scissor switch-based keyboards. In addition to notebooks, Maglev is also expected to roll out maglev keyboards that will be able to connect to tablets.